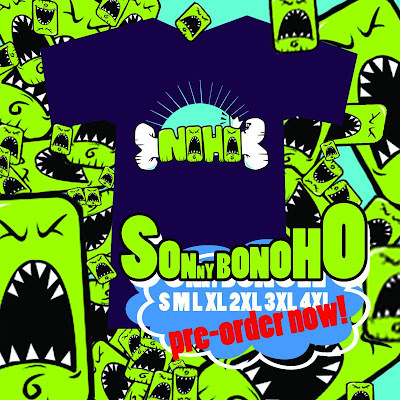 Sonny Bonoho is comin out with a t-shirt where you can first purchase it at his show this Friday at Nectar. If you wanna get more info, you should visit his MySpace page and shoot him a message. Two of the three colorways are shown below. Notice the sun for Sonny and the bone and talking "noho's?" Pretty clever.